Hundreds of crown-of-thorns starfish found on a beach in southern Japan in January stranded themselves because of starvation. The strange behaviour has shown marine scientists what can happen when these slow-moving creatures completely deplete their food source. 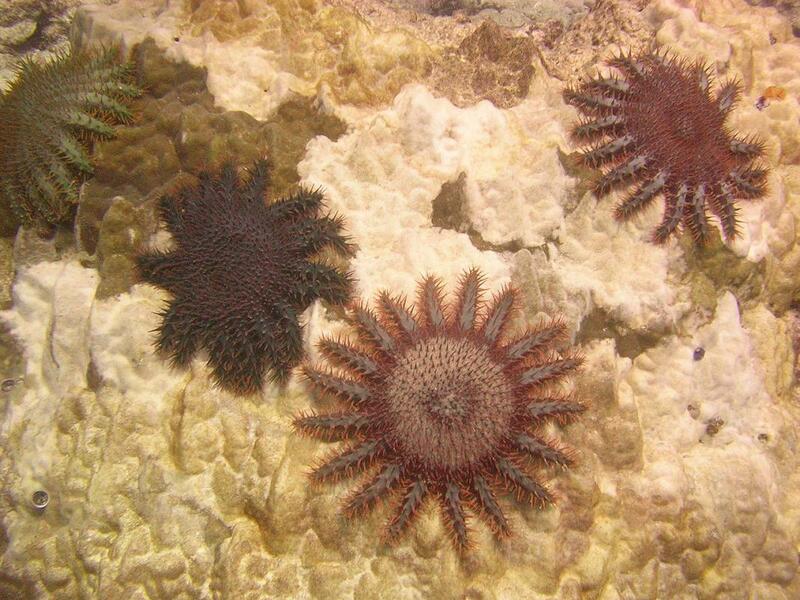 It appears that the crown-of-thorns starfish (COTS) then invaded the inner reef and gradually moved into the inner part of the bay by the end of 2011, even though there were few corals there. It was suspected that they starved at that stage, when many COTS were observed moving across the sea ﬂoor, presumably in search of corals. The mass stranding might be the result of emaciated and weakened COTS, partly under the inﬂuence of currents, aggregating on the lower beach at high tide, and being left high and dry when the tide receded. The stranding may have been exacerbated by shoreward winds that had continued for several days just before the stranding. The shortage of food, corals, is a probable cause of the stranding.